We invite you to make it yours as we make it new. The new Museum will be a celebration of the human creative spirit, a center for lifelong learning, and a gathering place for the community — a space that will transform lives through art. 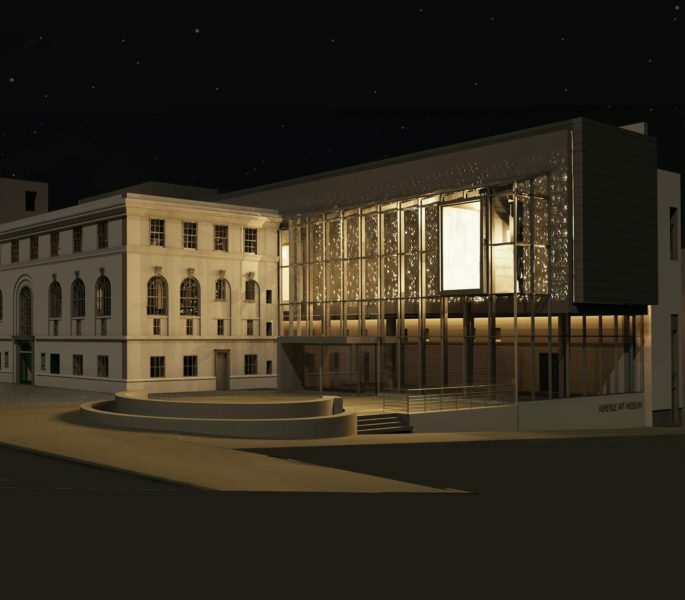 The new state-of-the-art facility, opening in 2019, will include a stunning glass façade and a grand art-filled atrium, new exhibition galleries, a well-equipped education suite of classrooms and studios, a larger library and art resource center, a lecture and performance space, the new ArtPLAYce for families, and the addition of a rooftop sculpture terrace and café. Support the creative future of our region with a gift to the ArtWORKS for Asheville capital campaign. We also encourage you to become a Museum Member.